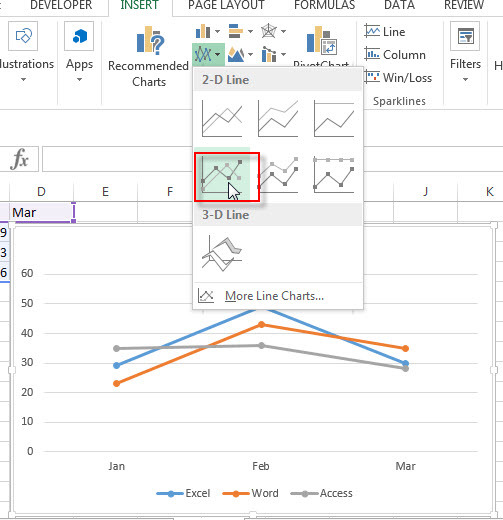 This post will explain that how to create a basic line chart in your current worksheet based on the specified data points in Excel. 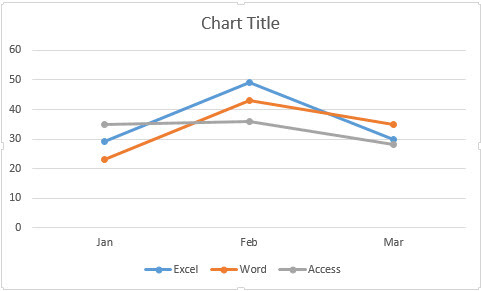 The line chart can be used to display continuous data or a trend over time. 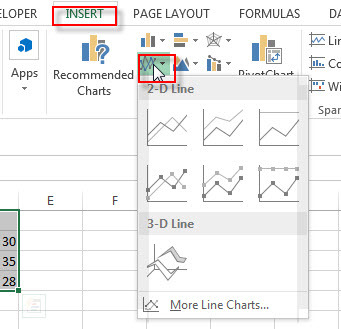 2# go to Insert Tab, Click Insert Line Chart button under Charts group.